The Best Affiliate Marketing blogs from thousands of top Affiliate Marketing blogs in our index using search and social metrics. Data will be refreshed once a week. Also check out Affiliate Marketing Videos from Best 10 Affiliate Marketing Youtube Channels. Affiliate Marketing newsletter is a comprehensive summary of the day's most important blog posts and news articles from the best Affiliate Marketing websites on the web, and delivered to your email inbox each morning. To subscribe, simply provide us with your email address. About Blog Learn all kinds of lazy but effective affiliate marketing/internet marketing tactics that REALLY work. These are tried and proven methods that I've learned over 10 years of during "Deadbeat" online marketing! Facebook fans 3,627. Twitter followers 632. Austin, TX About Blog The leading global source of learning and networking opportunities surrounding the affiliate marketing industry. Facebook fans 44,614. Twitter followers 97,508. Luxembourg About Blog Mobidea Academy gives affiliate marketing training for internet marketers. Learn easy ways to earn extra money online. Subscribe now for free! Facebook fans 31,390. Twitter followers 2,374. New Zealand About Blog The Affilorama blog is the #1 place to find the latest news and events in affiliate marketing. Affilorama brings you free affiliate marketing training, software and support. Facebook fans 24,525. Twitter followers 11,666. Miami, FL About Blog Learn affiliate marketing strategies and CPA marketing from Charles Ngo - #1 Affiliate Marketing Website since '12. Wanna learn to be an affiliate? Folllow me. Facebook fans 23,310. Twitter followers 8,523. Tel Aviv, ISRAEL About Blog The leading global affiliate network! Affiliate marketing for Desktop & Mobile. Get access to the world’s best affiliate programs, CPA offers & performance marketing campaigns. Facebook fans 13,276. Twitter followers 1,331. About Blog Affiliate Marketing News, Information and Blog Posts, Top 5 Ways To Work Smarter Not Harder. Facebook fans 3,301. Twitter followers 12,453. Tri-cities, Washington About Blog Spencer Haws, the owner of Niche Pursuits, is a master when it comes to build affiliate niche sites. He owns dozens of niche sites and makes money with Google AdSense and Amazon, mostly. Facebook fans 9,229. Twitter followers 6,626. Facebook fans n/a. Twitter followers 8,837. San Francisco, CA About Blog Affiliate Marketing Industry News and Blog Aggregator. Facebook fans 1,531. Twitter followers 4,705. Park City, Utah About Blog Get up-to-date news, best practices and insight to the affiliate industry. AvantLink is a leading affiliate marketing, multi-channel analytics, referral tracking and technology platform for quality web retailers and savvy publishers. Facebook fans 1,482. Twitter followers 3,072. Facebook fans 3,096. Twitter followers 3,293. USA About Blog Kim Rowley works in her pajamas on her home computer doing affiliate marketing. Follow Kim to make (more) money while working in your pajamas. Facebook fans 719. Twitter followers 2,058. About Blog Affiliate Marketing Resources, News & Opinions from Missy Ward. Affiliate marketing Blog featuring affiliate marketing news and opinions by Missy Ward, Co-Founder of Affiliate Summit and affiliate marketer since 1999. Facebook fans 4,684. Twitter followers 32,796. Virginia, USA About Blog Geno talks about affiliate marketing, leadership, etc Award-winning affiliate program management agency. Current & past clients include Forbes, Travelex, Identity Guard, Skype, Evite & hundreds of small businesses. Facebook fans 800. Twitter followers 1,086. San Francisco, CA About Blog Affiliate Marketing community for Redditors. This is our space to talk about what works, what doesn't, and what's new in the world of affiliate marketing. Topics include PPC, SEO, CPA offers, traffic generation, affiliate programs, affiliate networks, and everything related to AM. Facebook fans 1,139,324. Twitter followers 501,659. Chicago, IL About Blog ShareASale Company Blog, Affiliate Marketing Daily News.A leading provider of performance marketing solutions for the past 15 years. Facebook fans 17,195. Twitter followers 11,969. Irvine, CA About Blog The latest news, videos, and discussion topics on Affiliate Marketing.Advice, insight, profiles and guides for established and aspiring entrepreneurs worldwide. Home of Entrepreneur magazine. Facebook fans 3,568,243. Twitter followers 3,407,418. Facebook fans 168,243. Twitter followers 520,344. Facebook fans 63,977. Twitter followers 39,067. U.S, NL, RO, RU, TW About Blog Avangate makes it easy for digital businesses to expand their market reach. Facebook fans 3,303. Twitter followers 3,930. Philadelphia, PA About Blog Top Trends, News & Expert Analysis about Affiliate Marketing. Facebook fans 47,052. Twitter followers 80,830. UK and US About Blog Latest marketing and advertising news for Affiliate Marketing, including insights and opinions. Facebook fans 39,194. Twitter followers 209,981. Malta About Blog Grow your affiliate marketing game with these latest techniques and guides. Facebook fans 7,605. Twitter followers 3,246. Facebook fans 60,289. Twitter followers 22,845. Facebook fans 171,125. Twitter followers 185,397. About Blog Thousands of profitable niche ideas 'hacked' wide open for you and evaluated for profitability, Affiliate Marketing is one of them. Facebook fans 4,429. Twitter followers n/a. Australia About Blog Commission Factory is the largest and most popular affiliate network in the southern hemisphere. Mission is to offer an aesthetic and functional experience to all affiliates and merchants. The network also hopes to educate online retailers about harnessing the power of affiliate marketing. Facebook fans 8,783. Twitter followers 1,164. About Blog Authority Hacker is THE place to learn how to bootstrap high earning websites the right way and for the long term. Facebook fans 8,021. Twitter followers 8,410. Vancouver, British Columbia About Blog Founded by Yaro Starak, sharing stories and advice to help you live the laptop lifestyle. My mission is to help you create a blog and turn it into a solid revenue stream. Facebook fans 5,318. Twitter followers 32,439. Denver Colorado About Blog Best Paying Affiliate Program Directory. This blog is by Bill Burniece. Facebook fans 2,016. Twitter followers 166. About Blog Pepperjam specializes in affiliate marketing, multi-channel agency services, & much more. Facebook fans 6,415. Twitter followers 1,730. About Blog Dominic Wells is the founder of this affiliate niche marketing site.We teach people how to succeed with niche marketing websites and offer our own websites for sale. Facebook fans 4,569. Twitter followers 1,818. Nottingham, UK About Blog MoreNiche is a global health affiliate hub which includes an affiliate network, affiliate community, training resources, industry news and much more. Facebook fans 16,006. Twitter followers 5,239. Sarasota, Florida About Blog Clickbooth connects Advertisers with Affiliates who are experts in all forms of digital marketing and capable of driving high quality traffic on a CPA basis. Facebook fans 14,306. Twitter followers 14,796. Facebook fans 1,013. Twitter followers 1,293. Facebook fans 851. Twitter followers 2,956. Boston - NYC - SF- Chicago - London About Blog Learn about affiliate marketing best practices and some of the innovations that have revolutionized the industry. Facebook fans 643. Twitter followers 1,619. Fort Wayne, IN About Blog The official website of Matt McWilliams, The Affiliate Guy. Matt shares his thoughts on affiliate marketing, management, and product launches. Facebook fans n/a. Twitter followers 4,678. USA About Blog Learn how to create a better website and make more money online.She explains how to join Clickbank and promote your goods through the affiliate-marketing program. Facebook fans 19,942. Twitter followers 16,644. About Blog Discussions about affiliate programs, earning money from affiliate programs, setting up your affiliate program, and all business related to them. Facebook fans 923. Twitter followers 1,324. Tampa, FL About Blog I Show Bloggers How To Generate A Full Time Income Online and Turn Their Passion Into a Solid, Profitable Business. Facebook fans 4,643. Twitter followers 15,448. Oviedo, FL About Blog Simplicity! That is the main goal with Osiaffiliate affiliate software. We create an easy to use and user friendly affiliate program that helps affiliate managers grow their businesses. Facebook fans 1,790. Twitter followers 13,241. Las Vegas Nevada About Blog Pace Lattin, owner of the blog, is a leading interactive advertising personality, with over 15 years of experience in affiliate and performance marketing. Facebook fans n/a. Twitter followers 20,066. Singapore About Blog TopOffers is a stable and responsible affiliate network that will lead your business to the top of the market with your minimum engagement into the process. Facebook fans 9,842. Twitter followers 1,473. Brisbane, Australia About Blog Cloak affiliate links and get organised with your affiliate marketing. Facebook fans 676. Twitter followers 342. Scotland, United Kingdom About Blog This is the place where you can take useful knowledge about how to succeed in affiliate marketing. Facebook fans 2,594. Twitter followers 1,223. About Blog Welcome to our Affiliate Marketing Blog! Traffic, Conversions, Recurring Profits - You can have it all. Get access to the ultimate on-line marketing toolbox full of money making action plans! Facebook fans 3,235. Twitter followers 548. About Blog The Search Monitor provides real-time ad intelligence tools to monitor brand & trademark compliance, affiliate compliance, and competitive ad insights. Montreal, Canada About Blog The Share Results affiliate program can help you reach your business goals. Read about the ins and outs of the affiliate program in our blog. Facebook fans 194. Twitter followers 1,128. Chicago,IL. About Blog Learn the ins and outs of making money on the Internet based on my ten years experience as an affiliate marketer. Mission to teach you internet and affiliate marketing so you can make a little extra money from home. Blogging, seo, affiliate programs, traffic strategies, product reviews, everything how to earn you more money online. Facebook fans 1,300. Twitter followers 11,470. South Africa / USA / APAC About Blog We connect brands with customers through digital lead generation & customer acquisition. Facebook fans 2,330. Twitter followers 2,962. About Blog This site provides Affiliate Marketing Tips For Entrepreneurs, Blogging Business Ideas, get tips for starting your own business blogging and earning money from home. Austin, TX About Blog FeedFront is the official magazine of Affiliate Summit. The magazine is dedicated to bringing ideas, resources, and opinions from Internet marketing innovators to you before your next project or venture. Facebook fans 1,209. Twitter followers 7,449. Virginia Beach, Va About Blog Follow this blog to get the latest news on consulting, cryptocurreny, business, finance and legal learn the free money cash ways. Facebook fans 1,229. Twitter followers 18. Denver, CO About Blog SmarterChaos is an affiliate management & digital marketing agency focused on driving profitable results for our clients. We get you better online results. SmarterChaos is helping affiliate marketing and performance marketing pros access cleaner traffic with compliance in the digital marketing landscape. Facebook fans 1,047. Twitter followers 891. About Blog This speaker, entrepreneur and PPC affiliate marketing specialist has started way back in his high school days. Facebook fans 3,462. Twitter followers 7,575. Austin, TX About Blog Podcasts and video on social media, affiliate marketing, search marketing, video, mobile, and more. Facebook fans 505. Twitter followers 4,696. About Blog Jobojstore is an online jobsearch sites, store for selling varieties of stuff online and blogging affiliate internet marketing. The website comprises of these three main aforementioned. Our vision is to make jobsearch very easier for the unemployed, rendering goods and services to the word at large. About Blog I am Gerard and I will be your guide for as long as you need me throughout this journey. It will be hard work but exciting and fulfilling at the same time. I will show you how you can build a successful online business from scratch and make your online dreams come true even if you only have basic skills and even if you have no experience! San Diego, CA About Blog Snaptactix will teach you the ins and outs of online marketing. Focused on 4 key aspects: email marketing, automation, traffic generation, and social media. Facebook fans 7,971. Twitter followers 138. Indore, India About Blog We have the best affiliate marketing programs for publishers and advertiser to maximize their ROI. Facebook fans 374. Twitter followers 83. About Blog Content Marketing Platform for bloggers and businesses who know SEO. Facebook fans 5. Twitter followers 41. Lekki Lagos About Blog TipsOnBlogging as the name implies is a Tutorial Blog that focuses mainly on Blogging Tips/tutorials, WordPress, SEO, Make Money Online and lots more. Facebook fans 1,067. Twitter followers 533. Nigeria About Blog This blog teaches you the basics of blogging, affiliate marketing, Google Adsense and so on. Facebook fans 14,122. Twitter followers 914. Facebook fans 429. Twitter followers 1,212. Katy, TX About Blog Learn the ins and outs of affiliate marketing and SEO with guides, how-tos, in-depth analysis and editorials.If you want to learn about affiliate marketing, SEO, and marketing, you've come to the right place. Find tutorials, guides, and tons of entrepreneurial advice. Facebook fans 3,520. Twitter followers 27,223. About Blog Affiliate Marketing Resources Guide to Making Affiliate Sales. Grand Rapids, MI About Blog The Dumb Passive Income blog by Matthew Allen. Matt is the only known trucker who is blogging about creating passive income online. Facebook fans 138. Twitter followers 3,077. Facebook fans 3,183. Twitter followers 17,693. Washington, DC About Blog From top of the funnel Affiliate Management to SEO, we deliver ROI based marketing campaigns to grow your company, not take your money! Facebook fans 702. Twitter followers 2,608. Reno, NV About Blog Affiliate marketing ideas, tips, tricks and proven inside secrets from a six-figure affiliate marketer. Facebook fans 8,669. Twitter followers 584. Atlanta, GA About Blog Apogee is an award-winning affiliate management company. Greg Hoffman and the Apogee team is proud to be recognized as an industry leader in affiliate program management. Fort Lauderdale, Florida About Blog Learn how to sell other people's products online and earn revenues from affiliate marketing programs. Taught by industry veteran Tim Schmidt. Pune, India About Blog Learn how to start a blog, host your blog, increase blog traffic using SEO and make money money using your blog. Facebook fans 237. Twitter followers 273. Australia About Blog Affiliate Marketing Training And Strategies.Affiliate Marketing is an Internet-based business where affiliates are compensated for each sale brought about by their online marketing efforts. Facebook fans n/a. Twitter followers 1,602. Portland, OR About Blog PDXWeb Design is a digital agency offering Free Tutorials on Website Design, Blogging, WordPress, SEO, Paid Marketing, Content Marketing, and more. Facebook fans 115. Twitter followers 6. Spokane, WA About Blog You know you want to know what I think.Joe Sousa is the founder of this affiliate marketing blog. Facebook fans n/a. Twitter followers 1,936. Houston, Texas About Blog Christine Cobb is a web technology consultant, a small business online marketing consultant and provides information for new bloggers and affiliate marketers. Facebook fans n/a. Twitter followers 7,280. Chicago, IL About Blog Get actual advice from real affiliate marketers so you can learn how to make money online with your business. No fluff, hype, no get-rich-quick promises. Facebook fans 1,684. Twitter followers 621. Manhattan Beach, CA About Blog HPC™ is a full service affiliate management agency located in Manhattan Beach CA. Affiliate recruiting, affiliate media development, affiliate management. Facebook fans 1,211. Twitter followers 103. United States About Blog Marcus has been an internet / affiliate marketer for over 16 years and this channel is here to help you learn the ropes and profit online with your websites and blogs. Chicago,IL. About Blog This Channel Covers All How To Aspects Of Internet Marketing And Making Money Online Based On My 10 Years Of Affiliate Marketing Experience. Facebook fans 1,502. Twitter followers 10,675. About Blog A channel for those who want to learn affiliate marketing and how to make a passive income from home. Los Angeles, CA About Blog Subscribe to learn ways to make money online with affiliate marketing. United States About Blog Best Affiliate Marketing Programs. Wish your success life with affiliate marketing. About Blog Affiliate marketing tips and tricks to get you on your way to earning more money online. We discuss website traffic generation tips, amazon, adsense, clickbank, list building, and so much more. 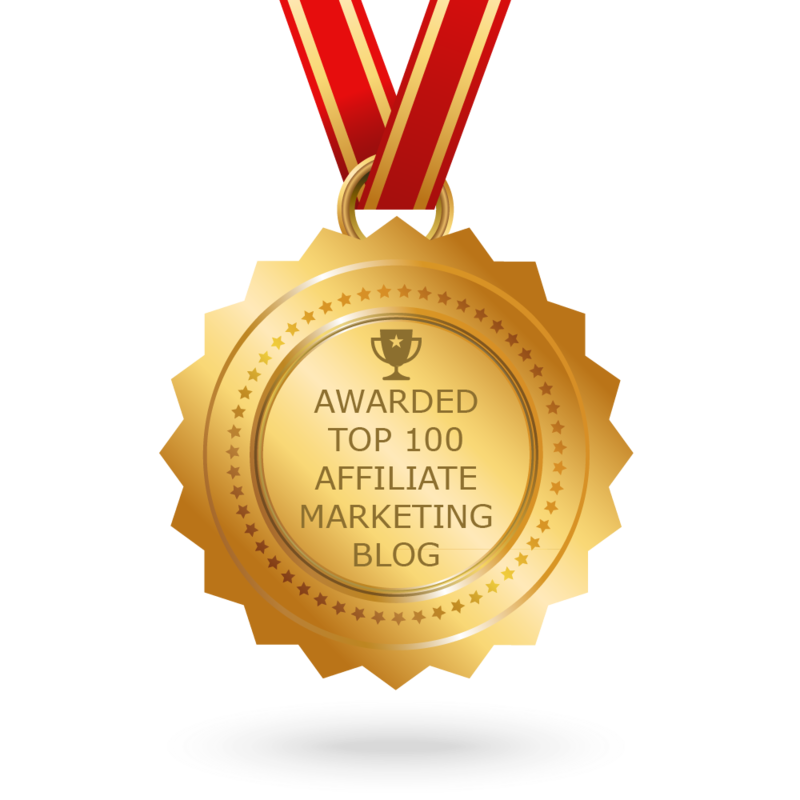 CONGRATULATIONS to every blogger that has made this Top Affiliate Marketing Blogs list! This is the most comprehensive list of best Affiliate Marketing blogs on the internet and I’m honoured to have you as part of this! I personally give you a high-five and want to thank you for your contribution to this world.